Most moms can’t wait to return to their regular wardrobe after having a baby. However, trying to nurse in a regular shirt can be awkward and more revealing than a new mom likes. 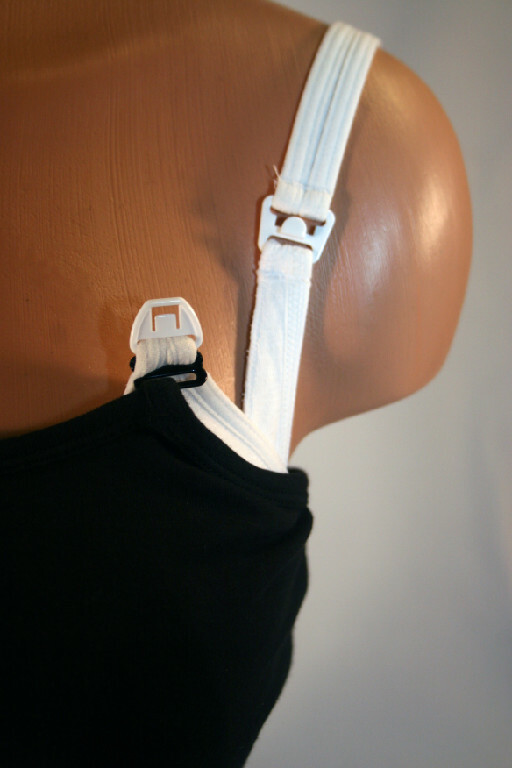 With Undercover Mama, you can keep your back, sides and belly covered while nursing in your regular clothes! Just atttach it to the flap of your favorite nursing bra and wear your regular shirts over top. You will look and feel like you are wearing a regular cami! The generous length allows you to tuck it in or go for a layered look. The black color adds a natural slimming effect! Whatever you wear with it, you will be able to nurse easily and conveniently, at home or on the go! Focus on the joys of nursing your baby and not fumbling to get to the good stuff. Welcome to No Hassle Nursing! Undercover Mama shown attached to a black bra. Bra not included. See our review on the Stylin’ Momma blog.